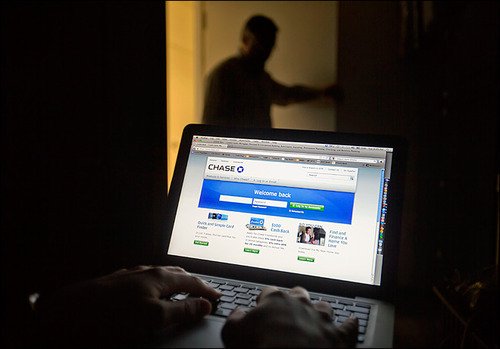 American Banks -- large and small -- are primed and ready for an elaborate simulated cyber attack today christened "Quantum Dawn 2" that will test how they would manage if teams of hackers unleashed a powerful and co-ordinated attack against them. A successful, widespread attack on the industry would end up shaking confidence in the banking system, and the possibility has banks and regulators more on edge now than ever before. JPMorgan and many of its peers like Bank of America, Citigroup and Wells Fargo have signed up for Thursday's drill, which is being organised by Wall Street's biggest trade group, the Securities Industry and Financial Markets Association, or SIFMA. About 50 banks and organisations will participate, including government agencies like the US Treasury, the Department of Homeland Security, the Securities and Exchange Commission (SEC) and the Federal Bureau of Investigation (FBI). During the drill, bank employees will be stationed at their normal offices, and will be blasted throughout the day with bits of information through multiple channels that could indicate an encroaching hacker attack. They'll monitor a simulated stock exchange for irregular trading and will be pressed to figure out what's going on and how to react while sharing information with regulators and each other. The original "Quantum Dawn" drill was in November 2011, and it attracted little attention and only about half as many participants. But that was before a wave of cyberattacks last autumn, when big banks were forced to temporarily shut down their websites after attackers bombarded them with Distributed Denial of Service (DDoS) attacks -- similar to overwhelming a phone line with too many calls -- with devastating consequences. Watch this space. Observe what happens. Listen, learn and share.